Our online degree programs mean no need to travel to a campus after work or on the weekends. We're accessible to you wherever, whenever. You can earn credit through alternate sources like testing, exams, military training, lifelong learning through our portfolio program, credit evaluated by ACE, National CCRS, or the Connecticut Credit Assessment Program (CCAP), and credential evaluation. 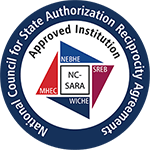 We make it easy to transfer in credit you've already earned from other regionally accredited colleges and universities. Ready to join the force or move up in rank? Need to finish your degree? We can help! Check out our career-relevant degree programs. New! ONLINE RN to BSN. Apply Today! We offer online graduate, undergraduate and certificate programs to help you get ahead in your field. New Online RN to BSN! Do you hold an Associate Degree in Nursing? Are you ready to take the next step? Our online program was created by nurse- developers with you in mind. Inquire today for details! Interested in Criminal Justice or Public Safety? Find out why Charter Oak is the choice of chiefs! Check out our portfolio of programs created specifically for law enforcement, fire and emergency management. Have Questions about our Master of Science in Organizational Effectiveness and Leadership? We can help! Join an online chat session and have all of your questions answered. Choose the date most convenient for you. Health Care Professionals! Seeking a Career Boost? We can help! Check out our online workforce-relevant health care majors and certificates including our CAHIIM-accredited B.S. in Health Information Management. Are you a recent CT Community College Graduate? Take the next step and complete your bachelor's degree online with the assistance of our Community College Transfer Scholarship program. See if you qualify! Best College Reviews notes Charter Oaks unique transfer policy and flexibility for adult learners. Alumna Brenda York will receive the 2018 distinction and address the graduating class at the June 3 commencement. 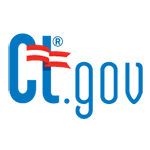 Program provides opportunity to complete bachelor's degree online at Connecticut community college rates. Are you Cyber Safe? Take our FREE online courses to find out. Presented by Jeff Lanza, former FBI agent, through the support of Liberty Bank. Public Safety Administration, Criminal Justice, Sociology now offered as majors. 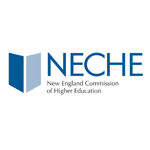 Approved as distinct academic disciplines by CT Board of Regents for Higher Education. Unique public-private partnership will focus on scaling Charter Oak's degree completion model. Agreement supports seamless student transfer into online Health Information Management program. National membership benefits students and college. Let us help you transfer. Upgraded webmail and access to Microsoft Office software, both online and offline. College offers most affordable online degree program in state. Charter Oak State College: A dynamic community of online learners advancing the nation's workforce one graduate at a time.